On this page, you will find FREE tutorial videos on a range of photographic techniques and theories. Please feel free to share the page link with your friends and anyone who may like to see the videos. The page is being updated regularly, so do keep coming back to see what's new! As a thank-you for visiting this page, here are two very special offers. 1. Use my exclusive link below to take out an annual subscription of F2-Cameracraft Magazine and get the current issue for no charge! 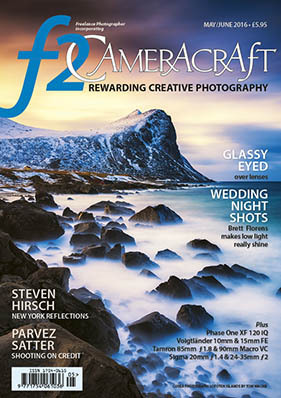 F2 is the best magazine around for improving your photography and helping you to make money with your camera. 2. Claim a FREE 15 minute Skype Photography tutorial (on a topic of your choice), with an award winning photographer with 35 years experience and a Master's degree in Education...ME! Email me to confirm you have taken out an annual print subscription (not download) and once verified, I will contact you to arrange the free Lesson. stephen (at) adareimages.com Or use the Contact Stephen Link on the left hand side of the page. In the very short video below, I introduce myself and explain how to take great photos - and how I can help improve your skills! A 10 minute video packed with information on how to use the various Exposure Dial settings on your camera. It's perfect for new photographers, and those who want to get more from their camera.